Spring is here! April showers bring hopefully May flowers…. and a change in the weather. In the mornings, it is cold enough for a jacket but by afternoon it warms up and the jackets come off. We unfortunately have over a hundred lost and found items including jackets in the cafeteria! Please come by and claim your things before we bag it all up and take to a local charity. Also with Spring, comes sports, late nights and school becomes second for some in the list of priorities! We are MAP testing in all grade levels to show growth of each student on April 18th and May 2nd. Please make sure students are getting the proper rest, breakfast and encouragement prior to those testing days. Staar testing for Fourth graders is on April 10th and Fifth graders April 10-11th. Make ups on April 12th. purchase your t-shirts now. We are glad to support our PTA in our first movie night under the stars…. details will come in Monday folders. As summer approaches reading must remain as a top priority. Please continue to read at least 20 minutes a night with children and continue Think through Math so students do not regress over the summer. Our library will be closed this summer. Congratulations to Kerry Stamps for being voted as our Teacher of the Year by her peers. We also want to congratulate Tammy Tucker by being selected as the Teacher of the Year by PTA. Gail Renne is also receiving a well-deserved honor of being Smith’s Volunteer of the Year with her many hours of extra activities. All of these ladies are deserving of this special recognition. Our staff wants to thank each one of you for a great year at Smith. School begins on August 15th next year and we are planning our open house on Monday, August 13th at 4:30-6:00. We look forward to another great year as it is always a great day to be a Smith Star! We are quickly approaching the end of the school year, yet we still have exciting things planned for our Smith Stars! I would like to thank all our Room Parents and volunteers who helped make the Valentine’s Day parties a success. Teacher Appreciate week is coming up in May. Let’s show our Smith Teachers how much we love them! Keep clipping Box Tops. This is the easiest way to raise money for our school! One of our classrooms will be receiving a treat for clipping the most Box Tops. 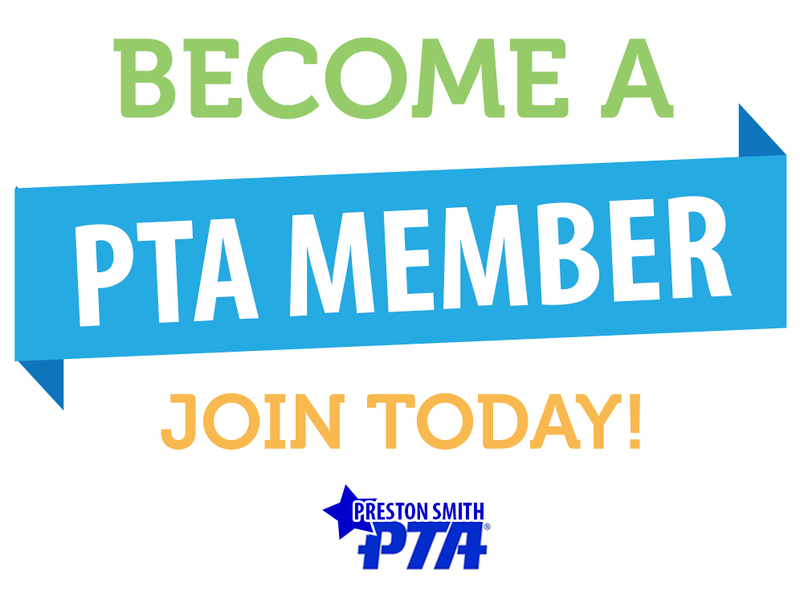 Be sure to follow Preston Smith PTA on Facebook and Twitter. Be on the lookout for an exciting event soon! Good luck to all of our Smith Stars who are taking the STAAR test in April and May.